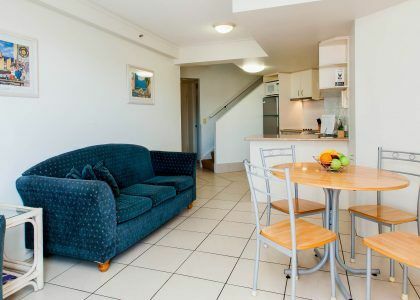 Book direct for best rates - Stay 7 nights in a 1 Bedroom Apartment Low Season and save. Enjoy a leisurely breakfast on your balcony taking in the beautiful water views. This special is for 2 guests and is available low season. Subject to availability and apartment allocation. 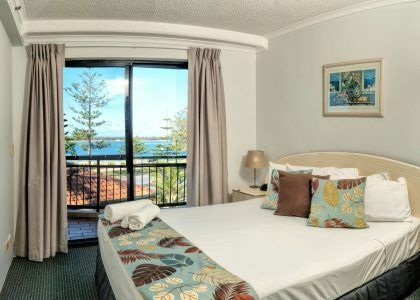 Luxury all the way in these gorgeous Broadwater Executive Apartments. We have 2 luxury apartments across the front over looking the Broadwater in this Executive range. 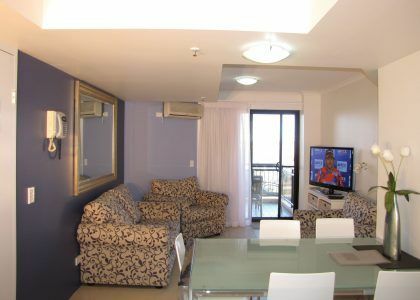 These apartments are fully self contained and airconditioning in the living room. Sleeps 2 but there is an option for a rollaway bed under request (extra charges apply). Please Note: So that we are able to offer the lowest possible rates to guests, weekly servicing is provided if you are enjoying an extended stay of 9 nights or more.